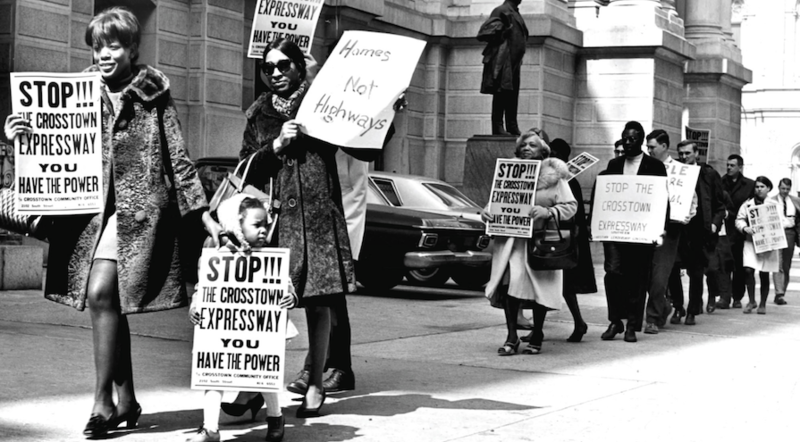 A diverse group of neighborhood activists in the late ’60s and early ’70s stopped the Crosstown Expressway in its tracks and kept the South Street area from being destroyed by an 8-lane, block-wide depressed highway. The free panel discussion took place at 7:30 p.m., Thursday, Oct. 19 at Gloria Dei (Old Swedes’) Church’s Sanctuary, Columbus Blvd. and Christian St. It was co-sponsored by Queen Village Neighbors Association and the Historic Gloria Dei Preservation Corporation (HGDPC). The panelists described the strategies and tactics they used to fight City Hall, derail the ill-fated Crosstown Expressway and help keep nearby neighborhoods intact.